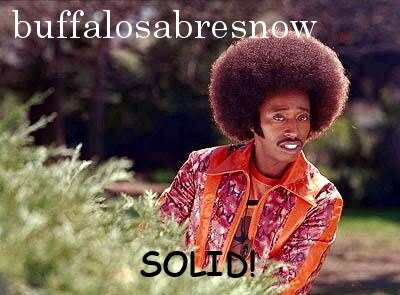 buffalosabresnow: Down to the bottom with Calgary up tonight. The Buffalo Sabres 7-1 loss on Saturday coupled with the Arizona Coyotes 5-2 win puts both teams at 31 points, right at the bottom of the 31-team league. All is not lost for Sabres fans, however, as Buffalo still has two games in hand over Arizona, but it's still a sad state of affairs. How ironic that the two teams who barreled to the bottom of the league in 2014-15 for a shot at drafting either Connor McDavid or Jack Eichel that year find themselves back where it started. Buffalo heads into tonight's matchup against the Calgary Flames (9 pm EST) on yet another skid as they've been able to pull out a win only once this calendar year (1-6-1.) Losing is one thing, but the way they've been losing is even worse as three of those regulation losses were blowouts. To date their -59 goal differential is worst in the league and they're on pace for a -105 which isn't far off of the -113 of the 2014-15 tank season. These parallels between the tank years and this edition of the Buffalo Sabres is a rather ugly one considering that this team has way more talent, but still can't seem to get it right. The horrors of the 2014-15 season could be captured in a franchise worst 14-game losing streak that included an 0-fer in January (0-12-0) while icing a team that had little or no talent. What does that say for this edition? --In 2011 he took off the financial constraints of the previous owners and went after what they thought were prized free agents. They'll be paying Ville Leino $1.2 million for the next two seasons not to play and Christian Erhoff $857K per year through 2028-28. --In 2013 Pegula grudgingly fired Ruff, whom he famously said "Ain't goin' nowhere" at his inaugural presser. The Sabres are on their fourth coach since then and a fifth one might not be that far off. --Beginning with the 2013-14 season, the Sabres went into tank-mode as a rebuild model. Both that season and the next they finished last in the league but the NHL Draft Lottery left them with second-overall picks both times. --In Fall, 2013 Pegula hired Sabres legend and Hockey Hall of Famer Pat LaFontaine to lead the hockey department. Five months later, a presumed philosophical chasm caused him to leave the organization. --In January 2014 Pegula hired a long-time scout and former assistant general manager to be the GM in Buffalo. Tim Murray took over as a first-time GM and proceeded to dismantle the team in a scorched-earth rebuild with the focus upon landing at the top of the draft. --After a rather successful 2015-16 campaign things deteriorated the following season with Pegula firing both Murray and his head coach of two seasons, Dan Bylsma. --Pegula hired a rookie GM in Jason Botterill last spring. Botterill hired a rookie head coach in Phil Houlsey who ended up hiring a rookie defensive assistant in Chris Hajt. 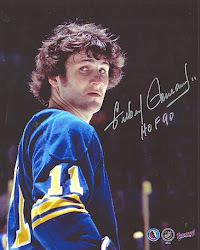 Botterill and Housley both played for the Sabres, with the latter having a long and productive career, while Hajt is the son of quite possibly the Sabres' best defensive-defenseman of all time, Bill Hajt. So where has it all lead us? To a lot of finger pointing directed at Pegula for being a control freak, to the tank for a ill-conceived rebuild model (not to mention bad karma,) to Murray for wasting a wealth of picks on players built for an NHL that's seemingly becoming antiquated and to the players themselves as they soured on Bylsma only a year-and-a-half into his tenure. With their performance as of late, it looks as if they've soured on Housley only 40 some-odd games into his tenure. "Country-club setting" is once again creeping into the vernacular and when senior Sabre Jason Pominville, a favorite of the local press, was asked by the gathered media about it yesterday he replied, ""As unfortunate as you say it, it's probably a little bit the case," he said. "You play on teams that haven't had success, and it's acceptable. But that's what has to change. Efforts like this aren't acceptable. Practices have to be a compete level that you need." Pominville was described in that piece as a player "once part of a winning culture in Buffalo," and sure enough he was. The last time the Sabres won a playoff series was back in 2007 second of consecutive back-to-back Eastern Conference Finals appearances. Pominville was a young player in a support role then and when he was in a leadership role from 2007-08 to February, 2013 when he was traded, his teams made the playoffs twice and were bounced in the first round both times. Yet it was Pominville who was a part of Regier's "Core" that might be dubbed, "The Original Sabres Country-clubbers" and looking to him for any insight and/or answers doesn't really jibe. That group had many of the same attributes as this one does. The Sabres start at three-game road trip tonight in Calgary after a brutal 7-1 loss at home to the Dallas Stars and a supposed very hard skate directed by Housley as a way of getting his club motivated again. Nothing changed on the defense pairings. Robin Lehner will probably be in net tonight and has been struggling. Amy Moritz of the Buffalo News points out that Lehner has been pulled in three of his last five starts, is 0-4-0 with a 5.50 goals-against average (19 goals on 114 shots) and has a .833 save percentage. It might have been worse but backup Chad Johnson was tagged with the 'L' in a 7-4 loss vs. Winnipeg at home that wasn't as close as the score might indicate.